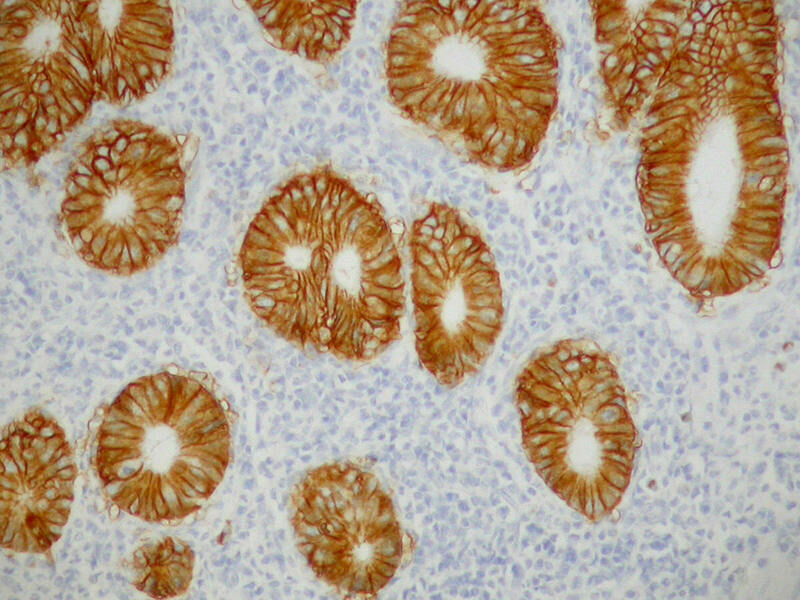 IHC World is now introducing the most innovative and most complete novel IHC Detection System - Polink Polymeric IHC Detection System. It featuring biotin-free system with high performance, high specificity, high sensitivity and low background plus shorter incubation time comparing with traditional ABC or LSAB methods and other polymeric products from leading companies. This system can be used for both human and animal tissues with various chooses of sizes and formats. For some kits are specifically designed animal tissue such as mouse antibody on mouse tissue, mouse antibody on rat tissue or rat antibody on mouse tissue. It can be also applied to double staining of two different antigens or eiptopes on the same tissue sections.